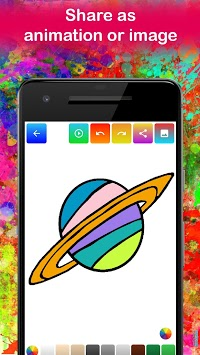 ﻿ Planet coloring book is the free addicting coloring book 🖼️ for adults on Android. Start coloring books now! Enjoy the pictures of mandala, florals, animals and patterns. Feel like a kid again! We just release our amazing Planet coloring book game for creative kids and baby, for providing time effectively. 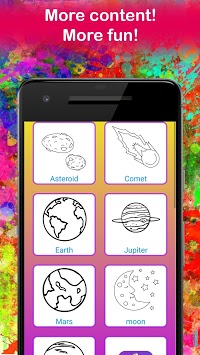 This free planet coloring books game let you provide enjoyable time and relax stress of day. Also coloring pages increase of your kids creativity and enjoy provided time. 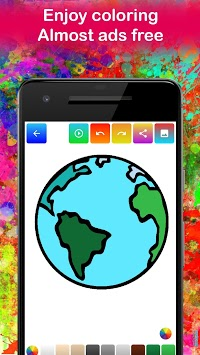 On application you fill paint planets, skyies and stars and big bang with vivid amazing colors. As we know creative kids love like this game and provice more time, because interface is easy and fast reliable. We hope you will like our coloring book apps and rate us 5 start in store. Also your comments important for us. Please, write us your lovely children opinion also what kind of games in future you would be saw in store. - Fast and smooth coloring processing.